The cool breeze results in grateful sighs from the members of the Sigma Alpha Mu fraternity and its sister sorority, Alpha Xi Delta, as they sit to discuss how their experience of Greek life has progressed in the last few years. 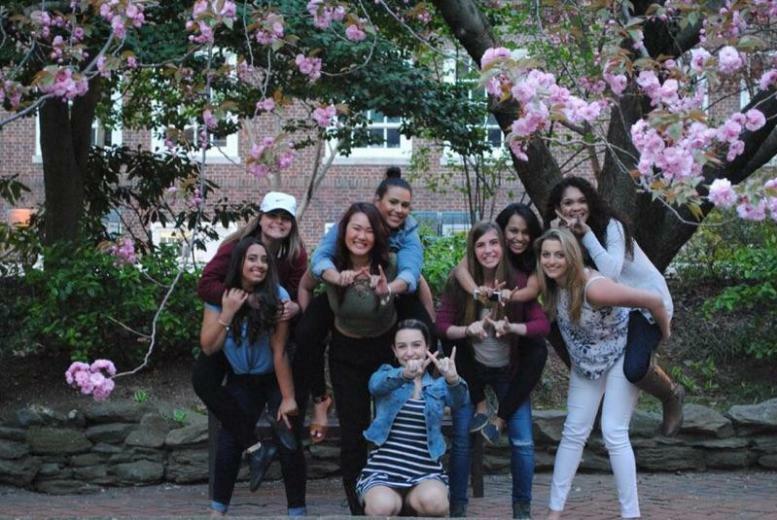 Representing just two of the many Greek life organizations at Brooklyn College, they have built their communities to nurture cooperation, unity and growth in every aspect of their personal and academic careers. “We’re just weird. We’re just a weird group of guys,” said president of Sigma Alpha Mu, Daniel Drabkin, 21. And given their extensive history as a fraternity on campus, moving toward this kind of individuality has been a concrete goal. Originally exclusively Jewish, they functioned as Kai Beta Nu before a CUNY ban of all Greek life in the 80s. By 1988, Greek life was allowed back on campus, this time allowing “any man from any walk of life” into the organization, according to Academic Chairman Joseph “Hodor” Burnetti, 22. Kai Beta Nu was thus changed to Sigma Alpha Mu. In the meantime, girls interested in forming a group took one year to shift from “Sammy’s Little Sisters” to the Alpha Xi Delta organization on campus.